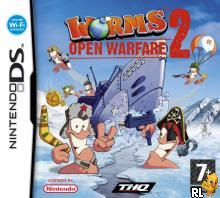 Worms Open Warfare 2 NDS apk android for DraStic free download working on mobile and pc,Nintendo DS Emulator Following in the footsteps (or wriggle-tracks?) of its legendary predecessors, Worms: Open Warfare 2 brings back the classic 2D gameplay with all sorts of extra features, and squeezes it all onto your favorite handhelds. 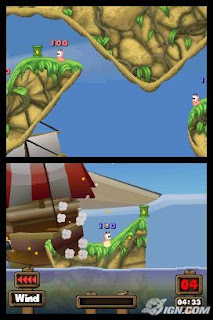 The first point of note is the enhanced online multiplayer mode for both systems, meaning not just local multiplayer games, but fully international deathmatches, stats and leaderboards. Also to be had here are a whole host of new customisation options — you can create your own custom landscapes as well as design team flags, modified hats, tombstones, victory dances and more… On top of the classic deathmatch, there are also new single and multiplayer modes in the form of Rope Race, Forts, Puzzle and Campaign modes. There’s even a new Firing Range to try your hand at the 11 new weapons: such as the Bunker Buster, Buffalo of Lies, Super Sheep, Concrete Donkey and Holy Hand Grenades!Challenge Worms fiends anywhere, any time, any place. 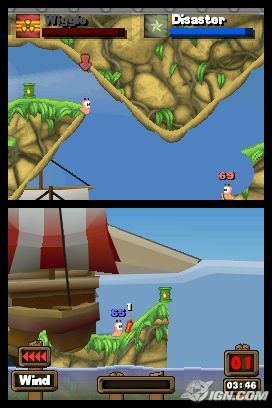 Connect online with Wifi Connection, play nearby friends in wireless mode or simply pass your DS around in Hot-Seat mode. All with up to 4 players. 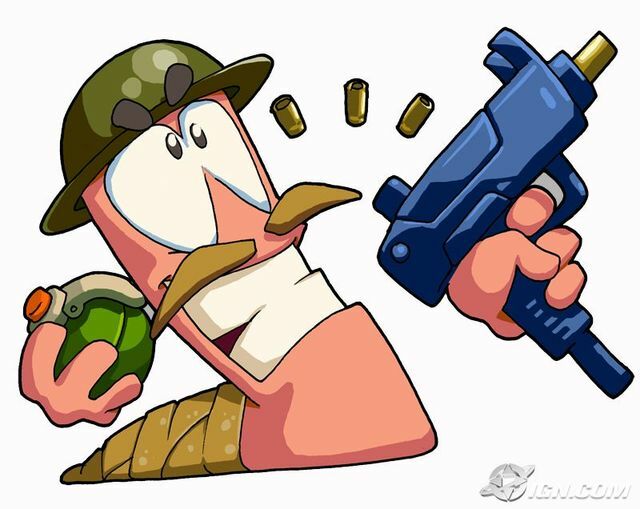 Wage war in six all-new landscapes, as the worms battle through history’s most famous (and not so famous) wars!